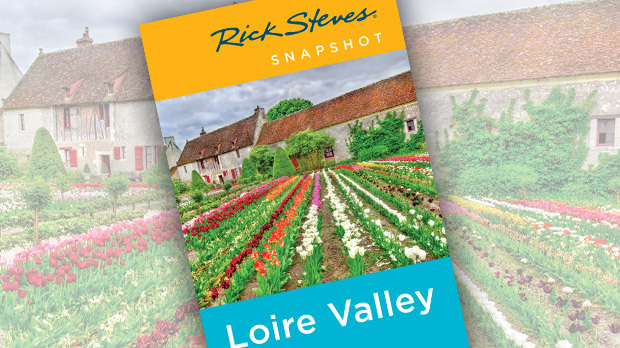 As the Loire River glides gently east to west, officially separating northern from southern France, it has come to define one of France's most popular tourist regions. Because of its history, this region is home to more than a thousand castles and palaces in all shapes and sizes. When a "valley address" became a must-have among 16th-century hunting-crazy royalty, rich Renaissance palaces replaced outdated medieval castles. Straddling the widest stretch of the river is the city of Amboise, an inviting town with a fine old quarter below its hilltop château. A castle has overlooked the Loire from here since Roman times. Leonardo da Vinci retired here...just one more of his many brilliant ideas. The Italian genius came here in 1516 because it was the royal residence of French King François I. Leonardo packed his bags (and several of his favorite paintings, including the Mona Lisa) and left an imploding Rome for better wine and working conditions. Imagine his résumé and cover letter: "I can help your armies by designing tanks, flying machines, wind-up cars, gear systems, extending ladders, and water pumps." Leonardo settled in the Château du Clos-Lucé, a plush palace where he spent his last three years. (He died May 2, 1519.) The house is a kind of fortified château of its own with a rampart walk and 16th-century chapel. The place survived the French Revolution because the quick-talking noble who owned it was sympathetic to the cause — and convinced revolutionaries that Leonardo was philosophically on their side. While today's owners keep the upstairs to themselves, an entire floor of finely decorated and furnished rooms is open to the public. It thoughtfully re-creates (with a good English brochure and Renaissance music) the everyday atmosphere Leonardo enjoyed while he lived here — pursuing his passions to the very end. Another Leonardo sight is the Château Royal d'Amboise — the historic royal residence partially designed by the brilliant Italian. The king who did most of the building — Charles VIII — is famous for accidentally killing himself by walking into a door lintel on his way to a tennis match (seriously). Inside you'll find a lacy, petite chapel where Leonardo supposedly is buried. 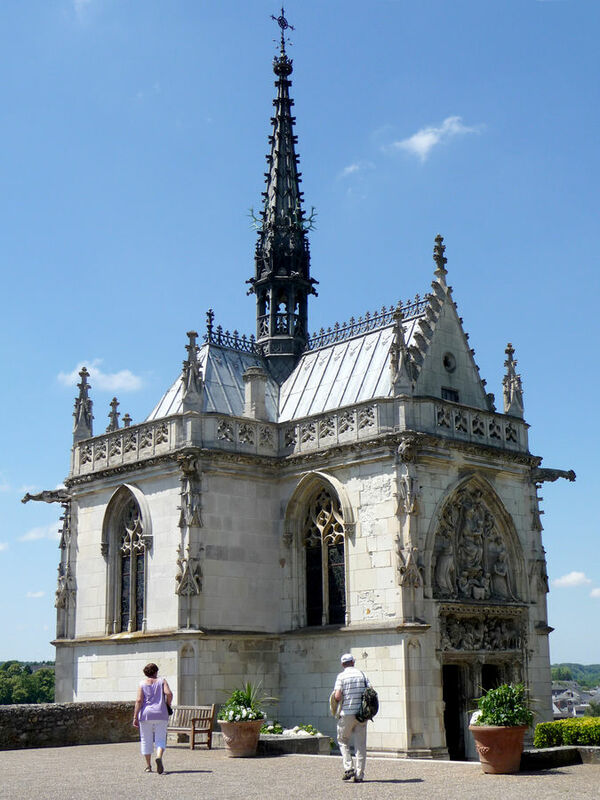 This flamboyant little Gothic chapel comes with two fireplaces "to comfort the king" and two plaques "evoking the final resting place" of Leonardo (one in French, the other in Italian). Where he's actually buried, no one seems to know. Though grand, the château was much bigger in the 16th century. Wandering through its halls, you travel chronologically from Gothic-style rooms to those of the early Renaissance and on to the 19th century. Climb to the top of the Minimes Tower for panoramic views. The bulky tower climbs 130 feet in five spirals — designed for a soldier in a hurry. From here the strategic value of this site is clear: The visibility is great, and the river below provides a natural defense. From the tower you can see the half-mile-long "Golden Island," the only island in the Loire substantial enough to be flood-proof and to have permanent buildings (including a soccer stadium and a 13th-century church). It was important historically as the place where northern and southern France, divided by the longest river in the country, came together. Truces were made here. The Loire marked the farthest point north that the Moors conquered as they pushed into Europe from Morocco. After touring the château, take a lazy walk through Amboise's pleasant, pedestrian-only commercial zone. The city wielded far more importance than you'd imagine. In fact, its 14,000 residents are still pretty conservative today, giving the town an attitude — as if no one told them they're no longer the second capital of France. The locals keep their wealth to themselves; consequently, many grand mansions hide behind nondescript facades. When travelers ask me where to stay in the Loire Valley, I tell them Amboise is the best home base for first-timers. 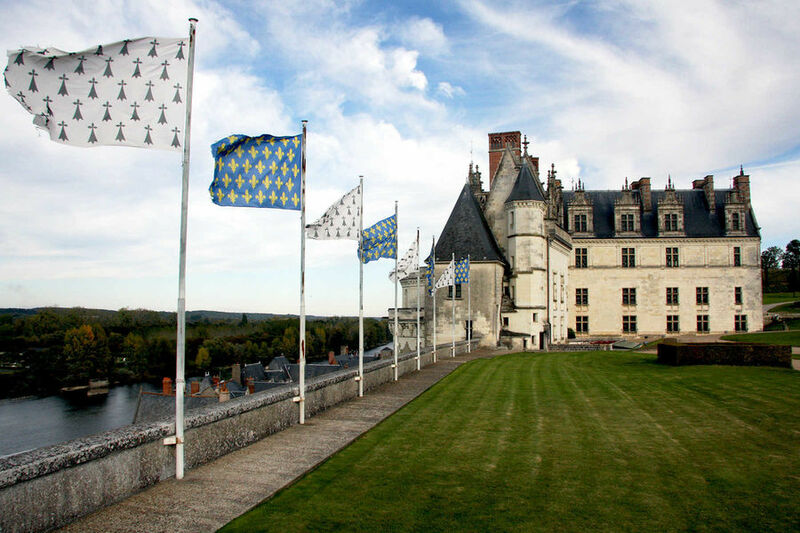 It offers handy access to important châteaux such as Chenonceau, Blois, Chambord, and Cheverny. It also has good train connections and public transportation options, making it the preferable choice if you don't want to rent a car or bike. Those transportation links also put it also under some development pressure. The TGV bullet trains can get you to Paris in well under two hours, and cheap flights to England make it a prime second-home spot for many Brits, including Sir Michael Philip "Mick" Jagger. What makes Amboise so attractive to ancient nobles and modern commuters makes it appealing to tourists, too. 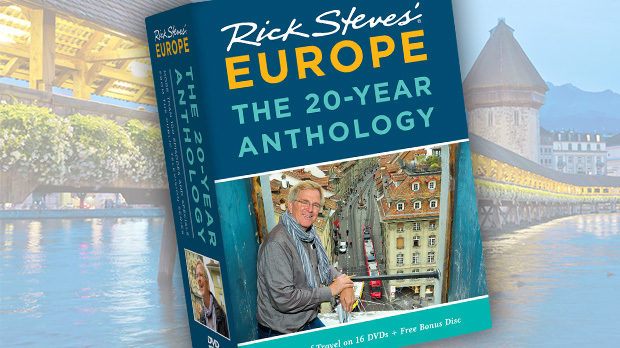 If you have a passion for anything French — philosophy, history, elegant architecture, food, wine — you'll find it here.